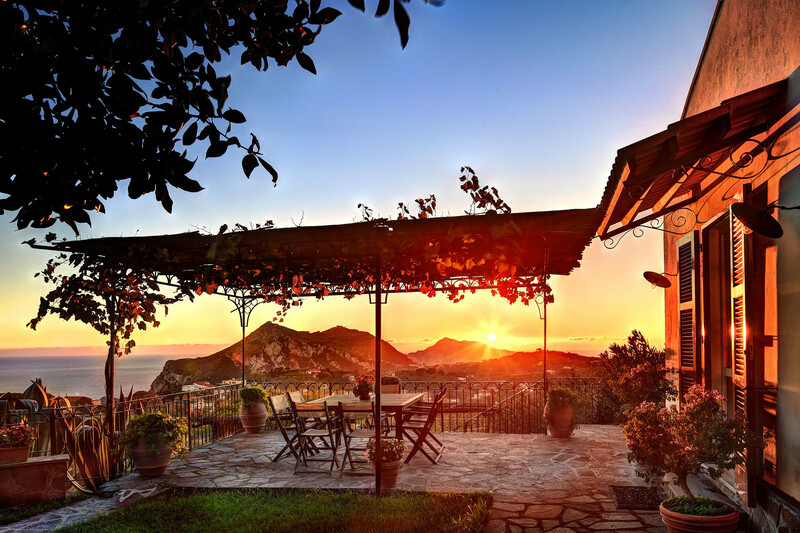 When you arrive at Villa Due Golfi, you cannot fail to be swept away by the stunning panoramic views. 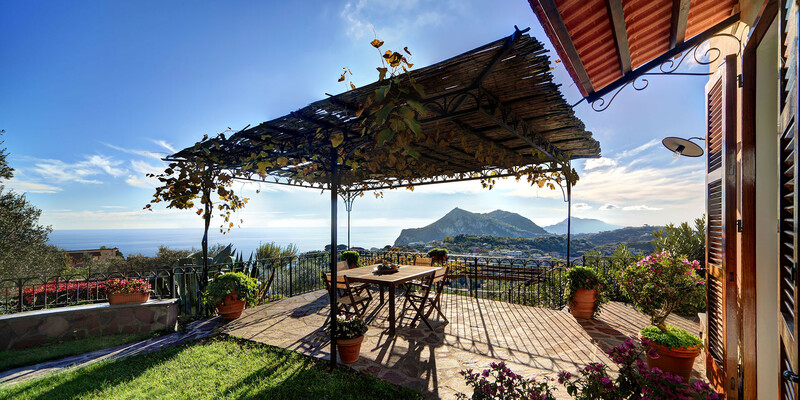 With a terrace running along two sides, the view stretches across the Gulf of Naples and the Gulf of Amalfi, with the peak of Capri Island in pride of place. The beauty is simply breathtaking. 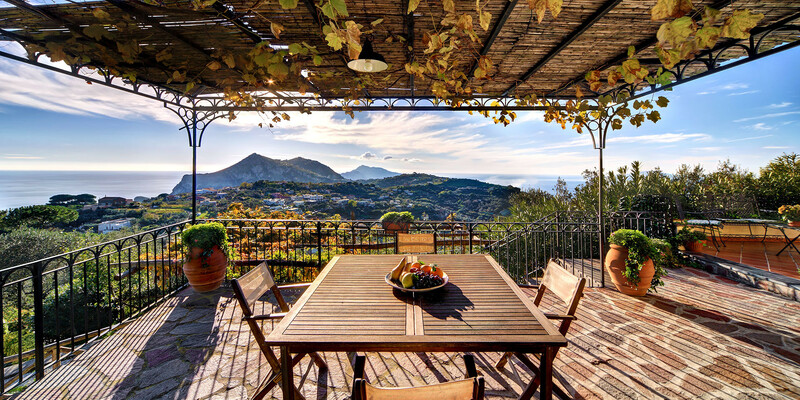 Located in Sant’Agata sui due Golfi, the villa is in a prime location en route to Marina del Cantone, where you will find the most beautiful beaches, and the most celebrated fish restaurants. 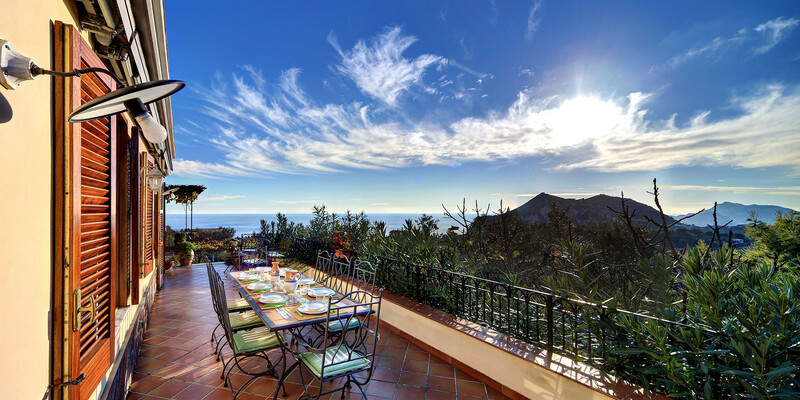 You will find everything you need to take full advantage of your enviable views, with a beautiful wrought metal pergola on one side of the property, providing shade and a table and chairs, and a more formal dining table for eight on the other. We recommend taking dinner as the sun sets above the bay, with the waters reflecting the fiery colours of the sky. A few steps will lead you to your private swimming pool (1.2m deep) open from 1st May to 30th October, and with plenty of sun loungers and parasols. 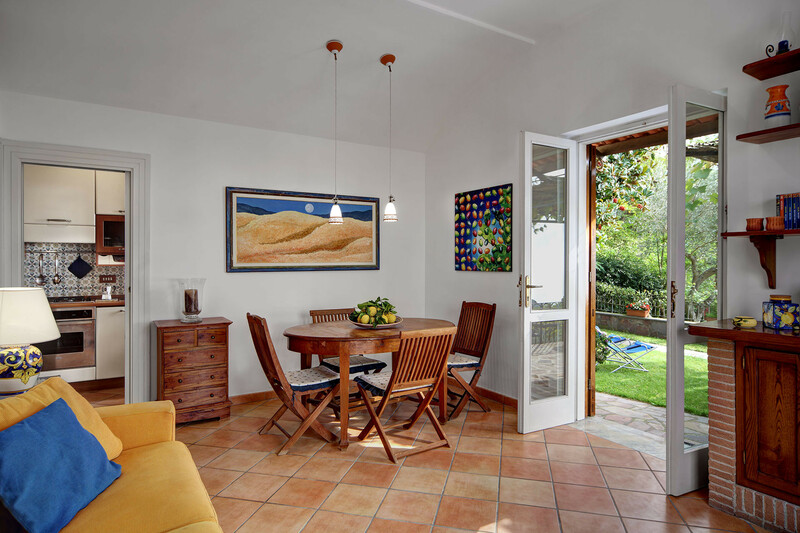 Moving inside, you enter the open plan living and dining area through either of two double doors. 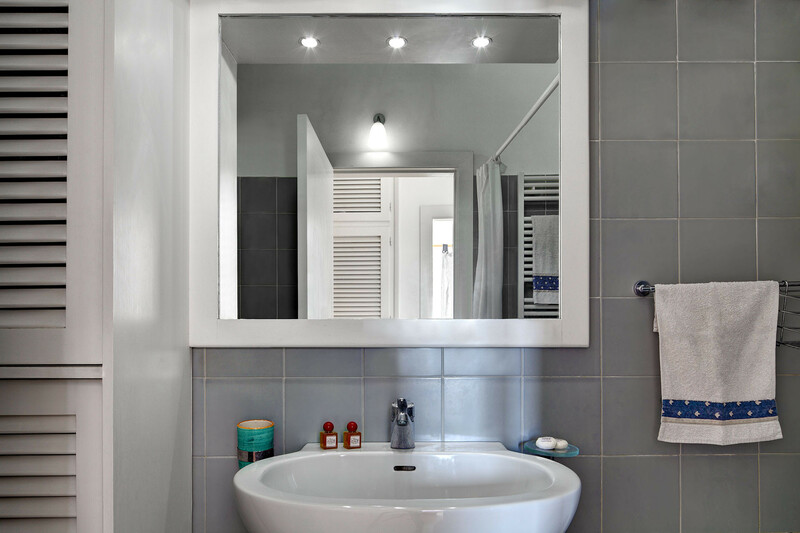 The ceilings are high and painted white, giving a sense of light and space throughout. Artwork and cushions provide bright accent colours to contrast with the cool white walls. There is a further dining table and a comfortable sofa plus a television. Wifi is available throughout. 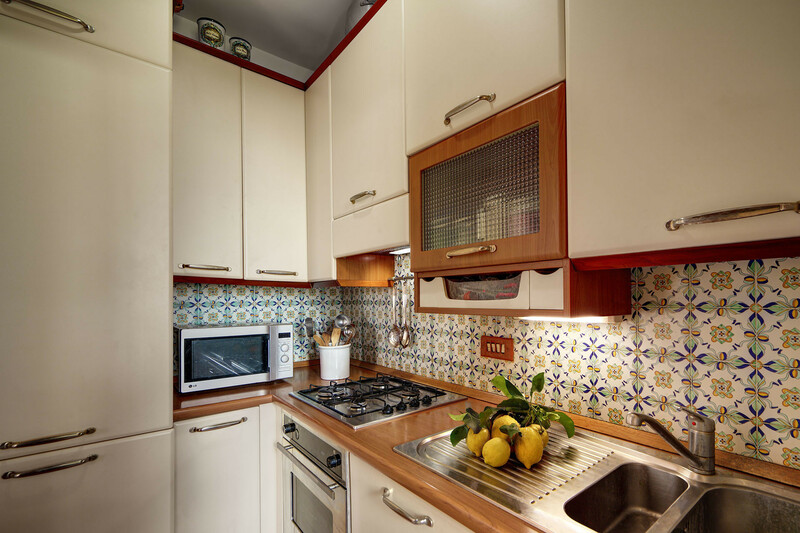 From here, you can move into the kitchenette, fully equipped with four gas rings, electric oven, fridge freezer, microwave, toaster and coffee maker. There is a washing machine, iron and ironing board in a separate laundry area. A door leads outside to the barbeque for al fresco dining. From the kitchen, a short corridor leads to the sleeping area. 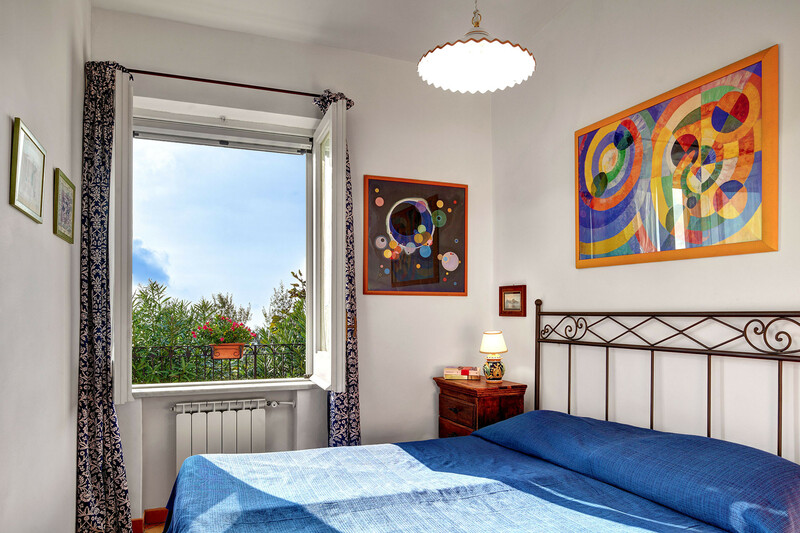 You will find one double bedroom, simply decorated with bright artwork and plenty of storage. 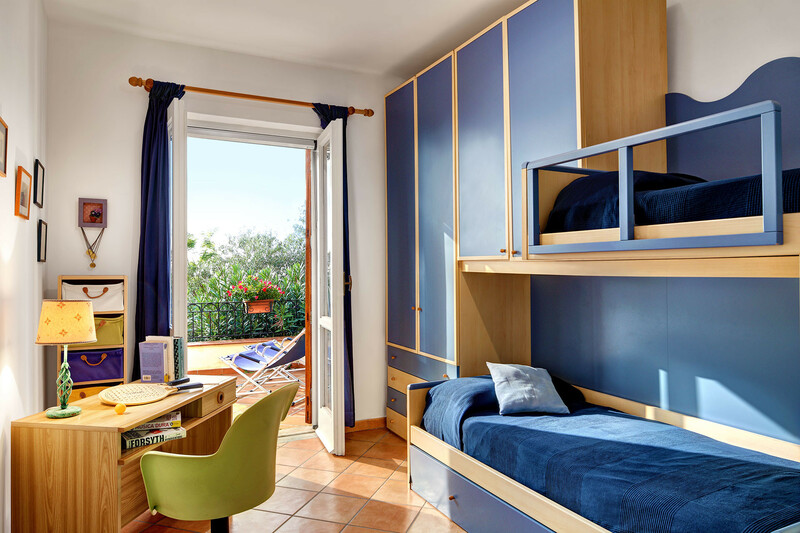 The twin bedroom is perfect for children, with two single bunk beds. Two additional single beds are available in the third bedroom, which is furnished with one single bed and one folding bed. There is also an additional bedroom with a comfortable double sofa bed, which can be used as an extra living area, or a private bedroom as required. 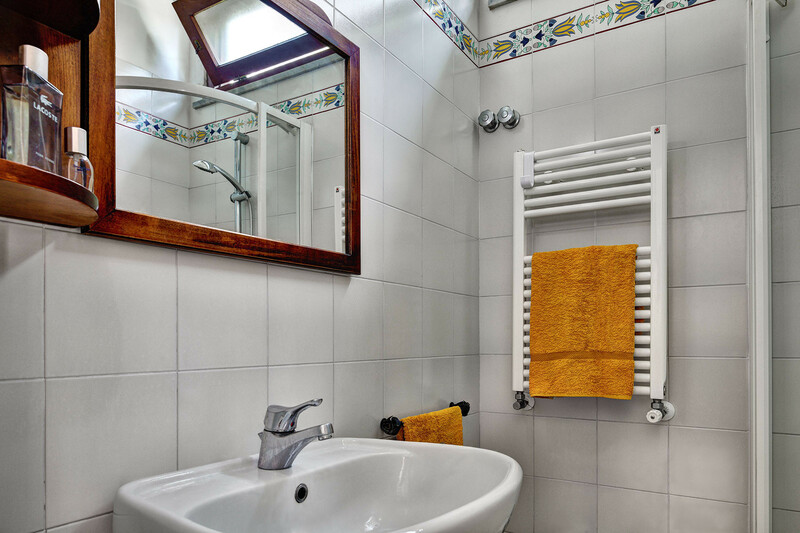 The two stylishly decorated bathrooms both have a wash basin, toilet, bidet and hairdryer. One has a shower enclosure and the second a bath. The house has parking places for 1 car. Please note that during July and August, Villa Due Golfi is only available for weekly rentals. There is much to enjoy within Sant'Agata sui due Golfi, including great shops and restaurants, the parish church, the Monastery of Deserto and various archeological ruins. If you enjoy walking, there are many trails along the coast and inland and the town is also a great centre for many excursions on the Sorrento Peninsula and beyond. 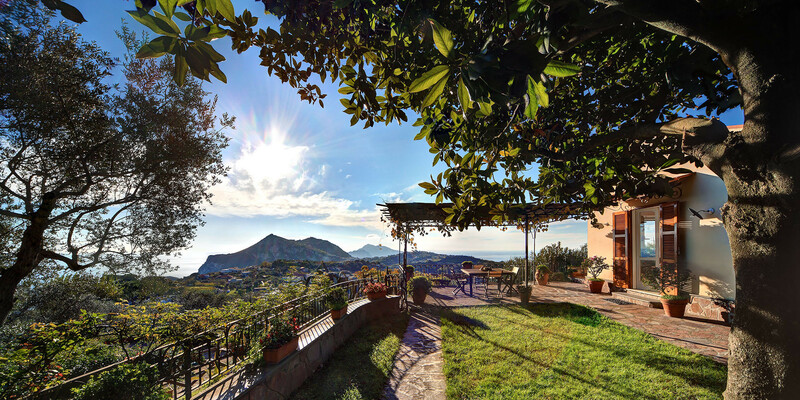 Villa Due Golfi offers comfortable accommodation in a location that is worth choosing for the views alone! 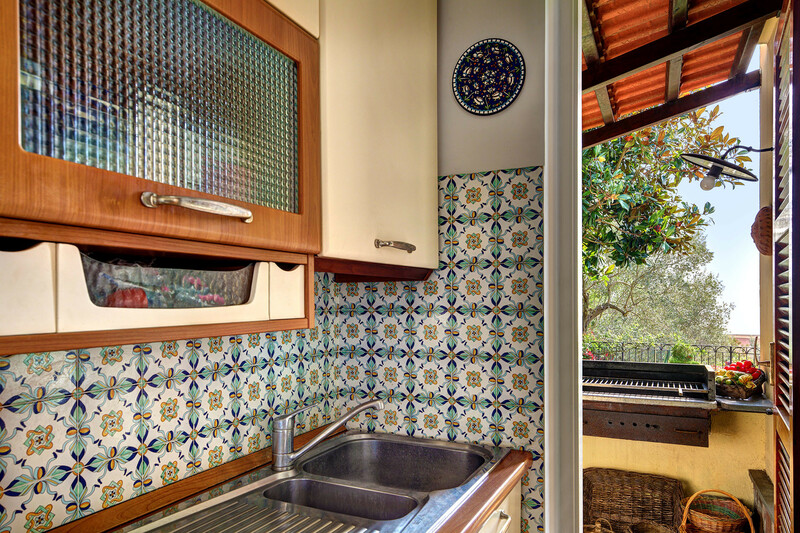 TV, terrace, barbecue, iron, internet (Wi-Fi), hair dryer, balcony, 100 m² property, Open-air parking (2 places) in the same building. 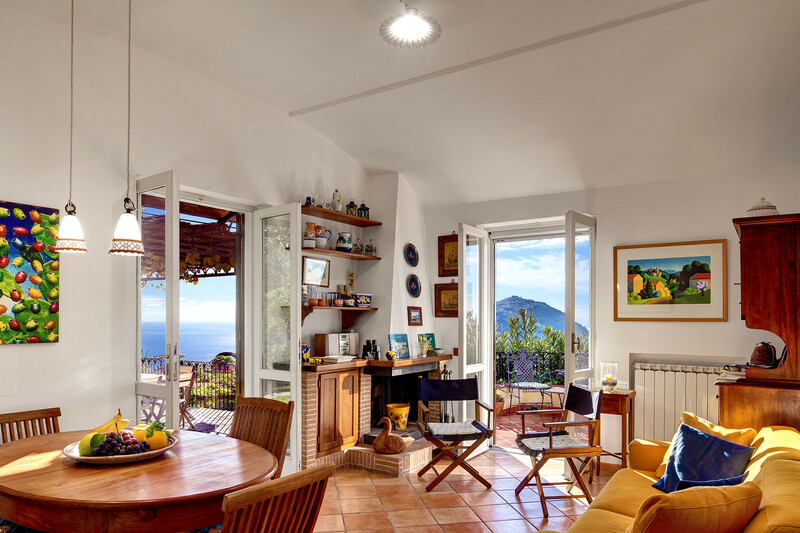 Absolutely unforgettable view spanning across the two gulfs over punta campanella all the way to capri and ischia and Procida. Outstanding outdoor space with many different spaces to enjoy, beautiful pool and a rich fruit garden to enjoy own grapes, figs, apples peers and all possible herbs. Inside space not as big but really you would not hang inside unless it was incredibly cold and windy ....very confortable rooms and nice bathrooms .... a really great place. The feeling Italy team was extremely responsive and available and check in was extremely smooth!